Is this car the last Italian built Ghia limousine or not? In 1965, Ghia ceased its contract with Chrysler to build the world’s most expensive limousine at that time ($18,500). Only ten were built and they were just as fabulous as the previous cars. Without a doubt, the Imperial Ghia limousine was one of the most exclusive cars to ever be produced and offered to the general public. Captains of industry, Pulitzer Prize winning authors, and wives of Presidents possessed these automobiles. 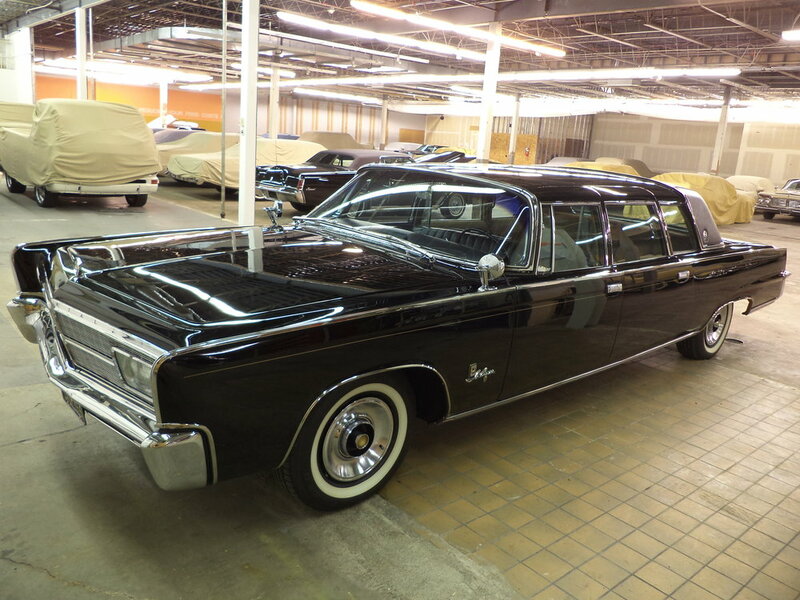 Looking like a slightly larger Chrysler Imperial, but housing hand crafted workmanship, people of true taste and style bought these cars and never drove them themselves. The online Imperial Club Website (best car website in the world!) has stated that all 1965 Ghia like limousines with a column shift and the three piece divider with the longer wheel base are built by Barreiros of Spain. The longer stretch can be seen in the quarter window and also the rear door glass is just slightly longer than other Ghias. However, this car is mentioned on that website as the last Ghia built in Italy before the tooling was shipped to Spain. I can say as the owner of six Ghia limousines and having had disassembled these cars (some completely) that the construction methods, the internal materials, even the moldings applied to the door panels (interior door panels) appear exactly as the known Italian built cars. So – it is possible that when they shipped the tooling to Spain, did they also ship some of the workers? And did they also exactly source interior fitments such as arm rest hinges, door pulls, even the inside of the custom built rear door keyed mechanism, and again, the interior moldings from Italy? Chances are – the Barreiros cars have some changes. I have found absolute consistency with the absolutely known Italian built cars. It is my assumption that this car was built for specifications of either an exclusive customer (Shah of Iran) with a longer wheelbase or was the intended continuation of the Ghia limousines into 1966 and beyond, or not? Make your own choice. Built in Italy, built in Spain, this is simply the absolute BEST 1965 in the world. About this car: I wish I could brag and say that I did this car but I did not. 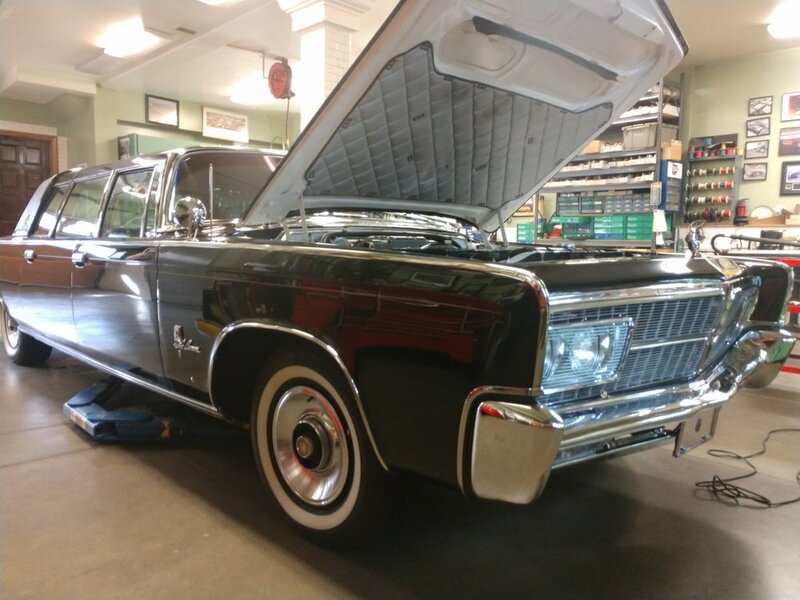 This car was finished by one of the most well-known Chrysler restorers in the country. He purchased it from one of the most important Chrysler collectors in the county. When he purchased the car, it came with massive amounts of dry California NOS parts. It is unimaginable that this restoration could ever be performed again. To find even the mirrors or the emblems, much less two NOS grill halves, is just impossible. The paint is flawless. The interior is like an Armani suit. The only vinyl that exists in the car is the dash pad. Even the door panels are leather. Wool carpeting, and quality abounds throughout this car. The undercarriage is as you expect – as nice as the outside of the car. A fun Ghia fact: the rear door armrests are reversed stock Imperial armrests. 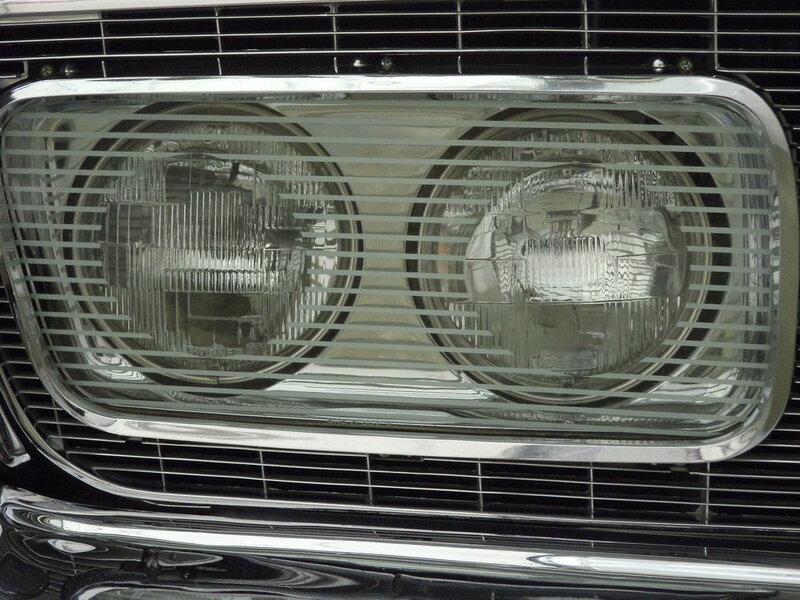 What’s wrong with the car: In the process of restoring the vehicle, a few items were upgraded. 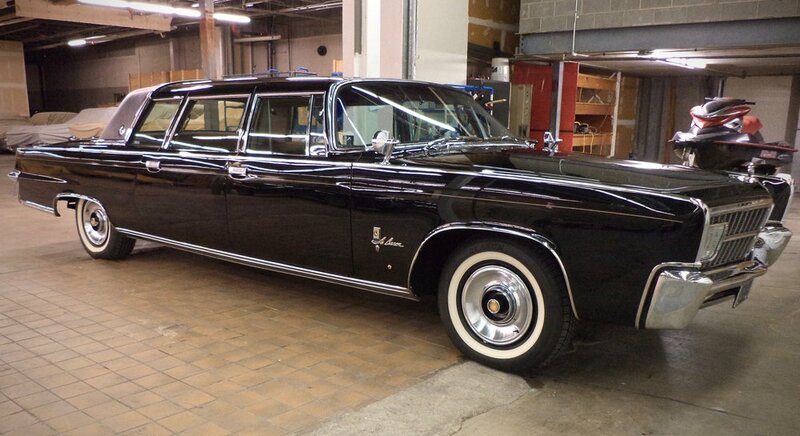 The window and divider switches in the back compartment were traded out for Cadillac items (easily changeable). The trunk was finished to an even higher level than Ghia produced with dual trunk lamps and a hidden CD player. Also, the rear radio has been upgraded to the AM/FM CD unit but all of the original parts that came on the car from Ghia are supplied with the car and the rear radio has been rebuilt if the new owner wishes to make it as original. Finally, my touch to this has been to completely disassemble the rear air conditioning and upgrade the front air conditioning so that it now blows at a refrigerator cold 28 degrees. In perfecting the A/C, I’ve added a small electric condensor fan you can see in the photos. This was added with great care and could be easily removed just prior to a show and re-installed with very little fuss. Finally – I had weather mats crafted to cover the Mouton carpeting so don’t freak out when you see black carpeting in the back, it’s removable). This car has been driven and perfected. All mechanicals are rebuilt or brand new. The gauge faces appear as new. Also of special note, the interior craftsmanship and wood restoration is of the highest quality. The hub caps you see pictured are NOS units. The original ones that came with the care were absolutely superb, but having the opportunity to purchase these, I did. The original units will be included with a box of random but valuable parts (pictured). Notice the engine bay paint has the similar “body in white” as the 1963. This sealer, that was applied to all cars to be converted, would have included cars supplied to NASCAR or drag racing teams of the day like Sox and Martin. UPDATE: Recently I found some paint blemishes in the trunk and on the roof. Fortunately the car will not have to be disassembled to repair these blemishes. Approximate repair cost will run (for a perfect job) $3,000 to $5,000.